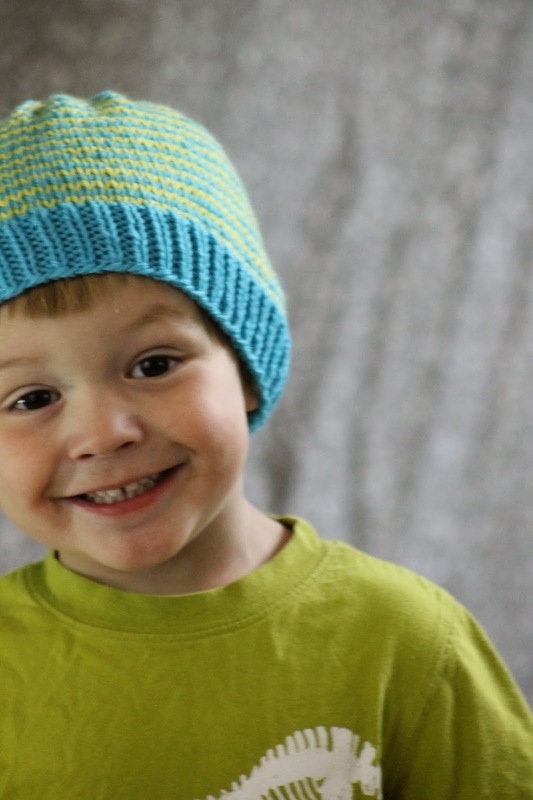 Sometimes, I feel as if I'm trapped in an endless hat knitting cycle with my children; as soon as I finish a hat for one of them, the other one immediately gets jealous and demands yet another hat. 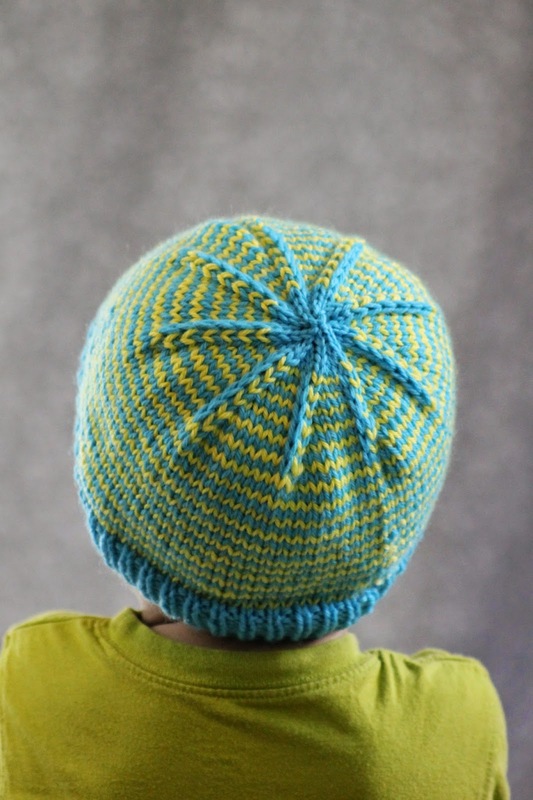 Which is how the Sunny Stripes Hat came to be, in all of its stripe-y glory. 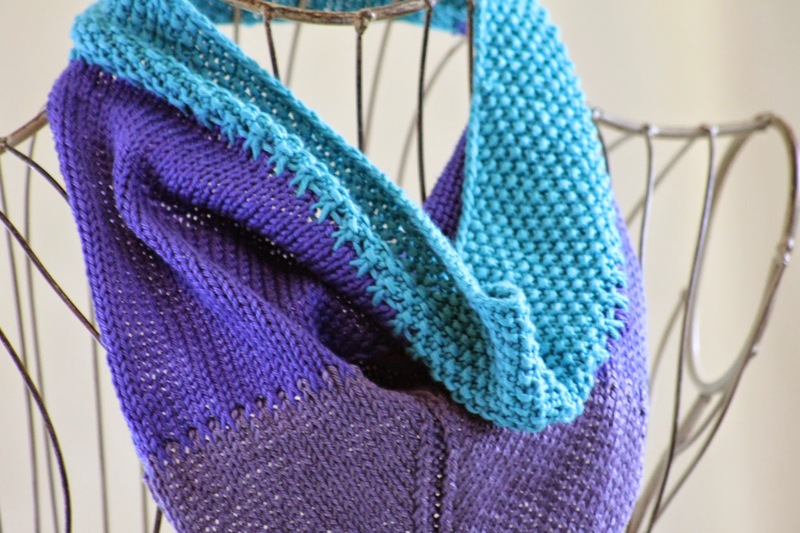 And it's not just the stripes that make it fun; it's also the slip stitch accentuated finish, which make it look almost like the celestial body it's named for. 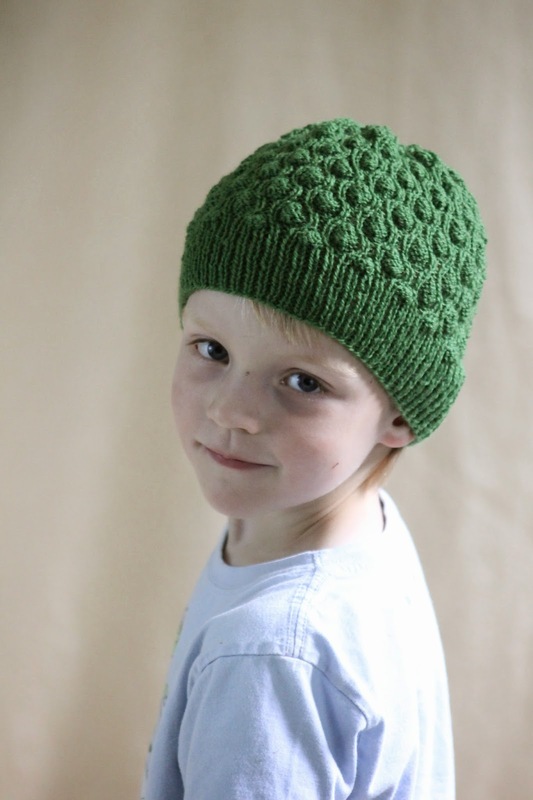 Plus, it comes in all sizes, so you can knit one for every member of your family (pets excluded)! give it an extra sunny feel. Before we begin, a quick note about sizing; as you may have noticed, I recommend medium for anyone between, like, 5 and adult. This is simply because most head growth occurs in the first couple of years, and, for instance, my five-year-old's head is only 1" smaller than mine in circumference and 1/2" smaller than mine crown-to-base-of-ear. Which means, yes, we would both wear the medium. Of course, not everyone's children have such monstrous heads, and the small size could fit a much older child. Finally, if you're knitting this hat as a gift and have no idea about sizing, I recommend large for most men, medium for most women and teens, and small for most everyone between 2 and 8 or so. Go up a size if they seem large-headed, or add 1/2" to 1" to the length. And now that we're all thoroughly confused, let's get started! Guess what, dudes?!?! Today marks the publication of my 100th pattern (this one, of course), and to celebrate, I'm posting something I love so much that I'm even going to keep it. 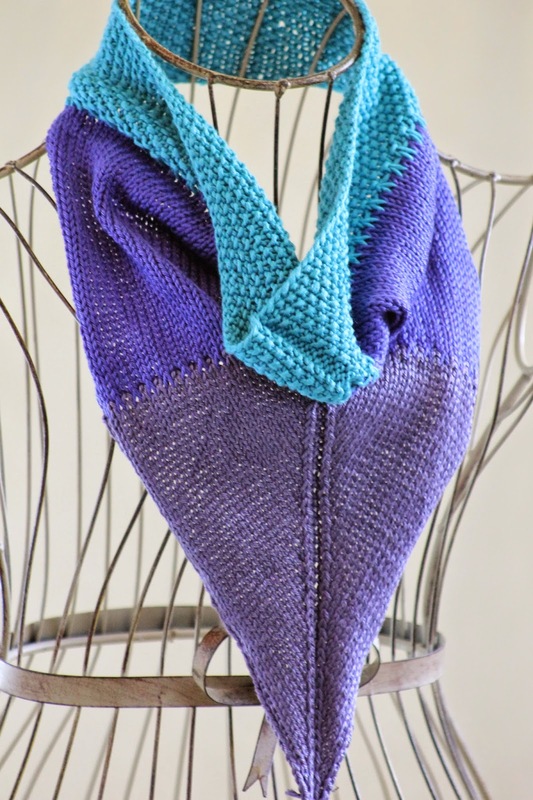 And not only is the Colorblocked V Cowl next-level cute, but it's also an excellent choice for your leftover yarns (in fact, I made it with the yarn remaining after I knit the Arrowhead Lace Cowl II and the Striped for Spring Cowl). So let's get right to it! Update (10/23/14): As of today, you can also find back-and-forth instructions for this piece following the regular instructions (so that means no circular knitting at the top)! Since I've been on maternity leave (the baby is now over two months old! and so cute! 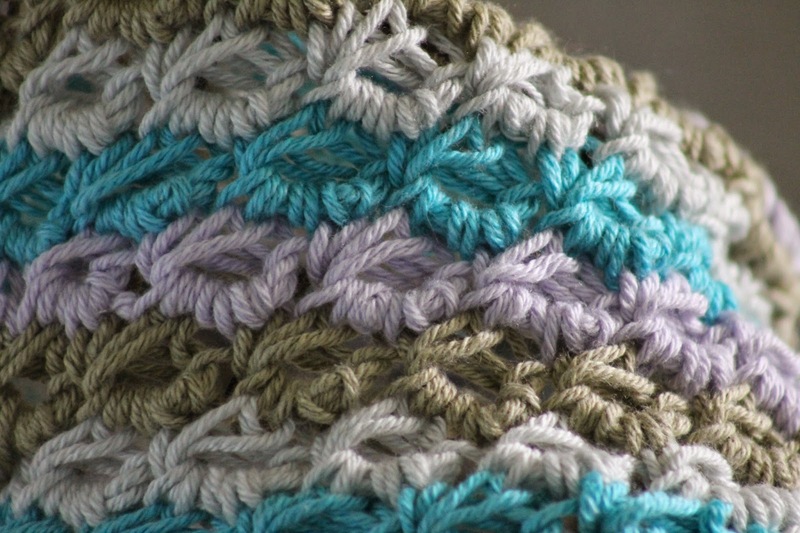 ), I've been trying to use up all of my leftover yarn instead of going out and buying more. So, although my soul is suffering serious separation anxiety after going so long without a trip to the yarn store, my odds-and-ends pile is getting slimmer and slimmer. 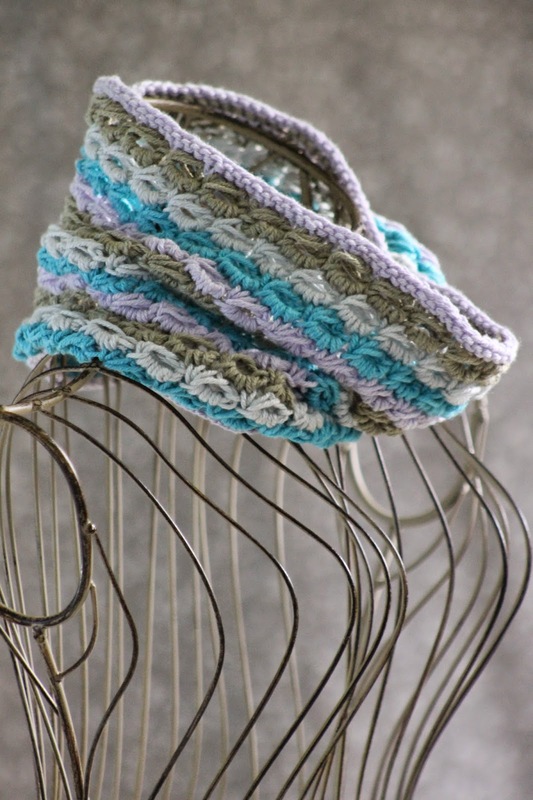 And this particular cowl is knit with the leftovers from the Long-Slip Striped Table Runner. Luckily, I'm still not tired of knitting with this yarn, although at this point I have very little left. Detail. It really does look like little sea anemones, no? My five-year-old picked out this yarn ages ago, and has been bugging me to make something with it ever since. And after rejecting my first two designs (what can I say? the kid knows what he wants! ), this fun hat finally passed muster. 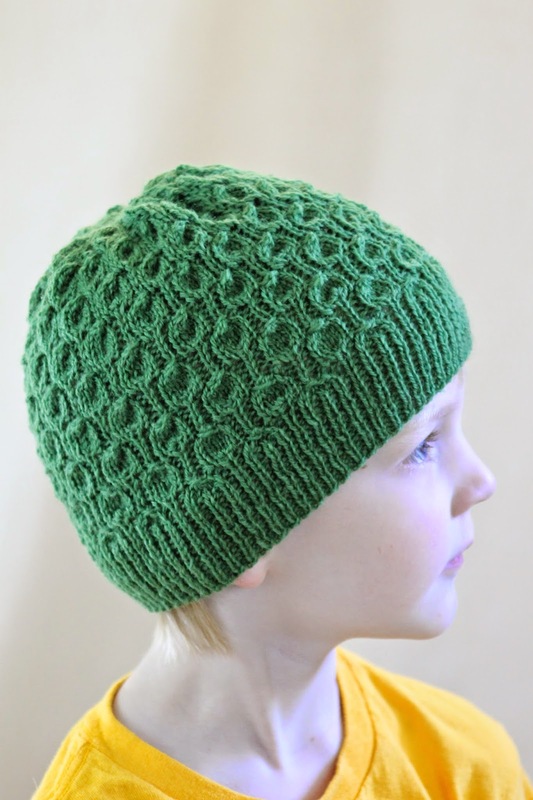 Even better, the wrong side of the design is just as charming as the right side, so the child you knit it for can wear it either way! So let's do this thang! First, using your circular needle, cast on 128 (144; 144) stitches, place marker, and join in round. Then we'll knit 1" (1.75"; 1.25") in a k1, p1 ribbing. 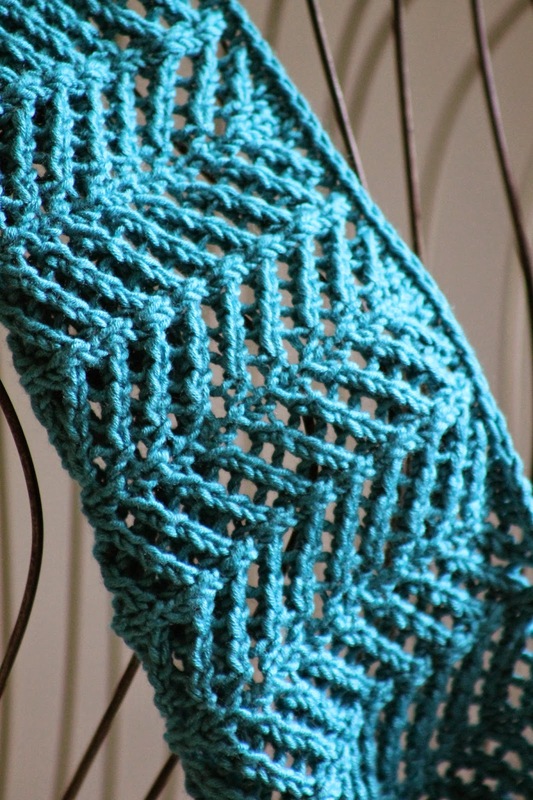 And then we'll get right to the main pattern, which is Cocoon Stitch from page 131 of Barbara G. Walker's A Second Treasury of Knitting Patterns, except adapted for the round. As you can see, there is no difference in pattern between the three sizes. And here we go! When I first bought this yarn, I had a certain idea of what to do with it. Then, of course, the minute I started knitting, I realized that this fiber was unsuited for my plan - although it drapes nicely in this particular piece, it was too stiff for my original design. 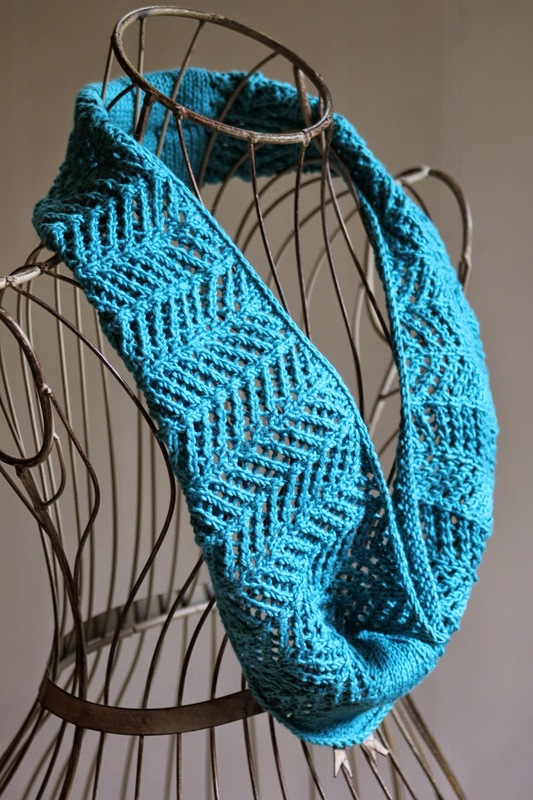 And THEN I remembered how lovely the lace pattern from the original Arrowhead Lace Cowl was, and I knew I had a winner for this fiber. To create a more necklace-like appearance, I also decided to seam the stockinette portion at the back of this piece. This also keeps it a lighter weight for warmer weather!